From all denim everything to triple leopard print, the ’90s have seen it all. Yes, your favorite celebrity crushes were rocking the red carpet in silky two-pieces and oversized shiny suits. In case you missed it, we’re here to give you your daily dosage of fashion nostalgia. 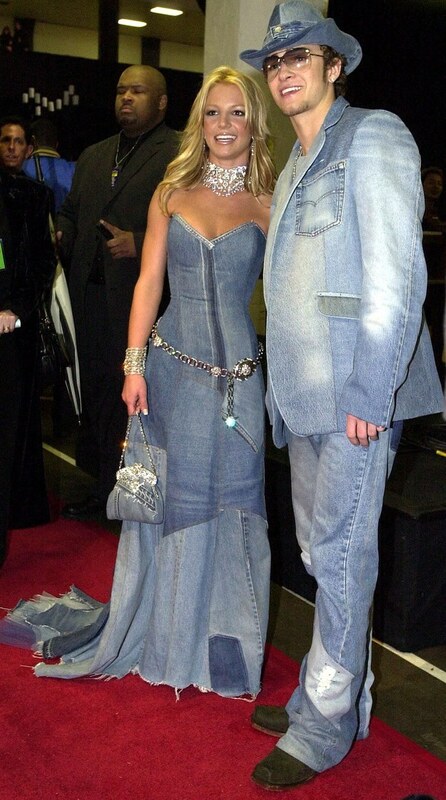 Justin Timberlake and Britney Spears can be seen rocking the red carpet in their all-denim-everything glory days. This definitely goes down in our #RelationshipGoals list.